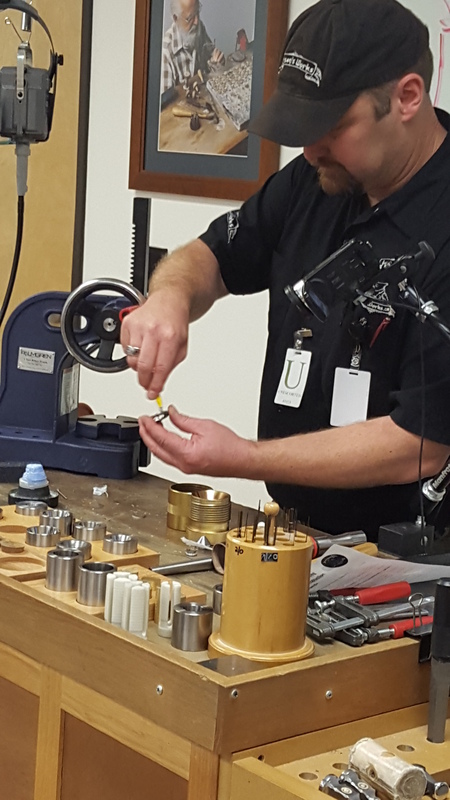 A three-day course offered at one of the largest jewellery tool distributors in the world. Located in beautiful Albuquerque New Mexico. Learn to make incredibly beautiful and detailed rings from minted coins in this class taught by metalsmith and innovator Jason Stinchfield. Learn the techniques he developed and apply them to cut, fold, shape and size rings while preserving their depth and detail, outside and inside. Virtually any coin can be made into a ring, so the possibilities are endless. With this technique, you can also make seamless rings using tools such as the Bonny Doon pattern plates, Durston rolling mills and from many different materials including mokume-gane. NOTE: We provide all the tools and equipment for use in the class, including four coins to use for making rings. Here’s what you’ll learn in this three-day class! • Learn where and how to choose your coins (four coins are provided, but feel free to bring additional coins with you if you like). • Discover the aspects of custom orders you may receive when making a coin ring from coins supplied by the customer. • Learn the concepts of seamless ring construction and the advantages of the technique. – basic and advanced techniques for coin ring/seamless ring making using innovative tools. • The pieces you make in class. • The spark to expand your jewellery making skills. Also, with time permitting, a 1 hour tour of Rio Grande. This is something not to miss! 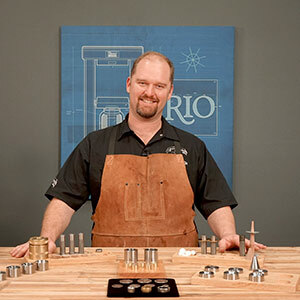 Meet me at my shop and learn the craft of coin ring making and much more. Spend as much (or little) time with me as you like. We can customize your training so you get the most out of it as possible. Located on the beautiful central coast of California, in the middle of wine country. Paso Robles California and neighbouring towns offer many opportunities for a great getaway. From Hearst Castle, wine tasting, the Pacific Ocean, and award-winning restaurants. Contact me to inquire on prices and availability so we can begin to customize your personal training!